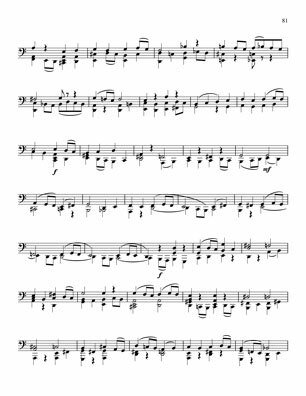 After fiddling with seven string guitars for a decade now, I found that it had not only expanded my horizon as a guitar player, but even more so infused new ideas and inspiration into my composing (not to mention the thourough exploration of rarely used keys). 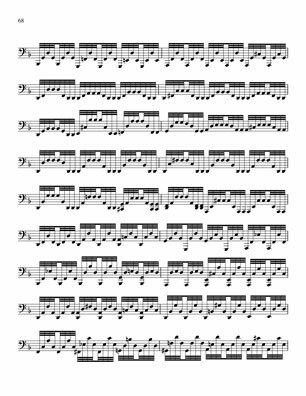 So, a few years ago, I thought maybe upgrading to eight strings might have the same effect. 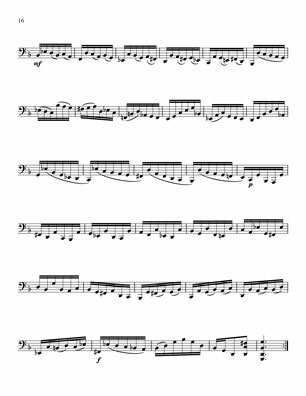 In a way it did - but more so because most of the time my musical brain just had no clue what notes were under my fingers on the 7th and 8th strings. 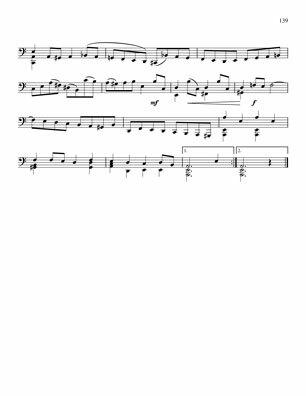 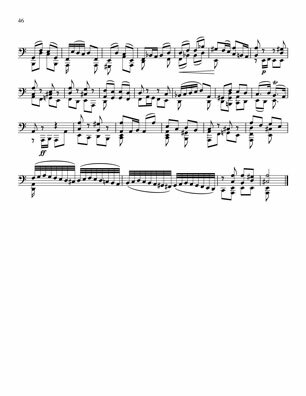 Like a beginner I had to calculate rather the know what note was on a given position. 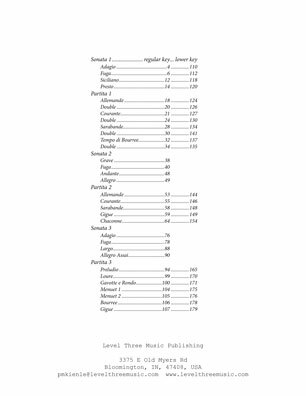 On the seven string guitar I had run into the same problem, compounded by the fact that existing guitar literature doesn?t offer much for extended range instruments. 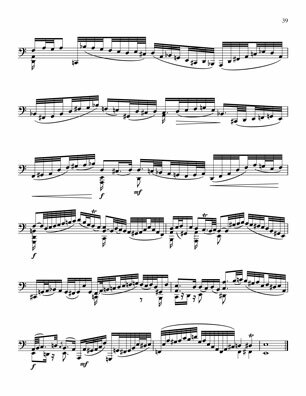 On the seven string I eventually adapted some Bach piano music to challenge myself to learn what that extra 7th string can do. 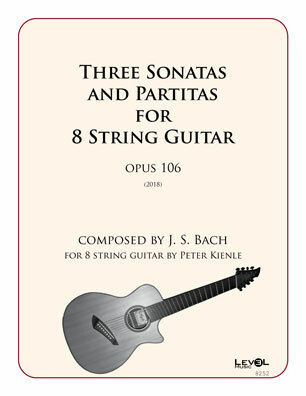 For the eight string guitar I am working on new adaptations. 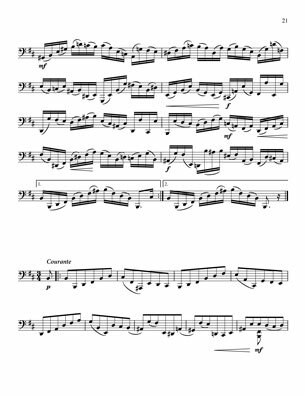 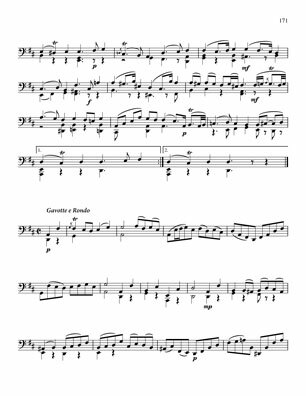 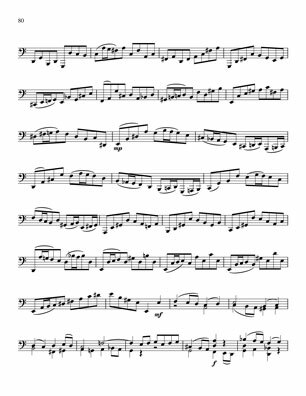 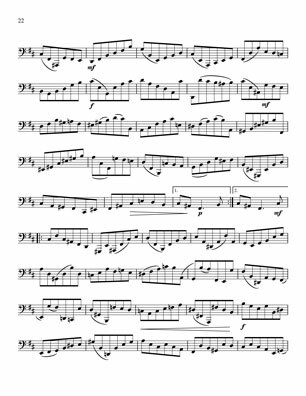 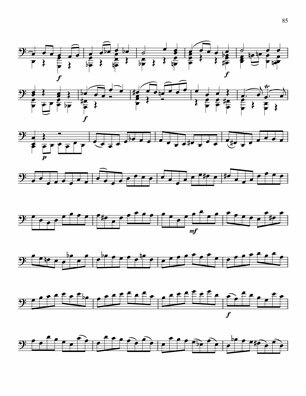 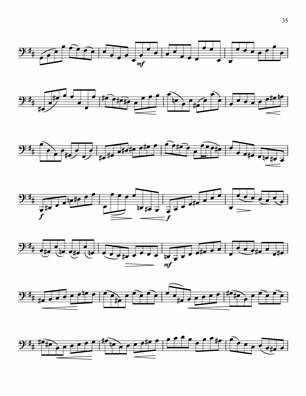 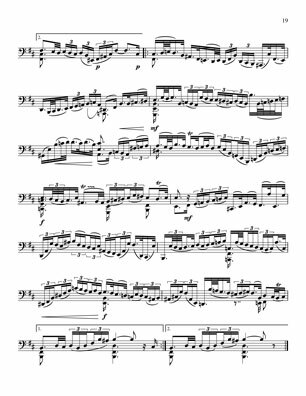 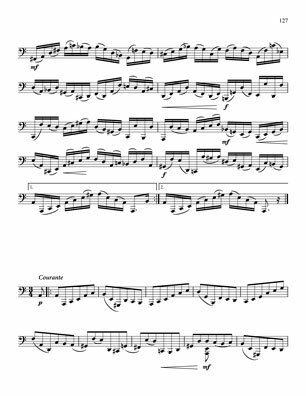 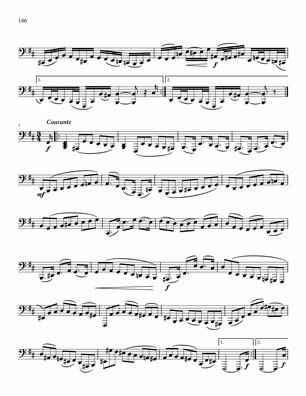 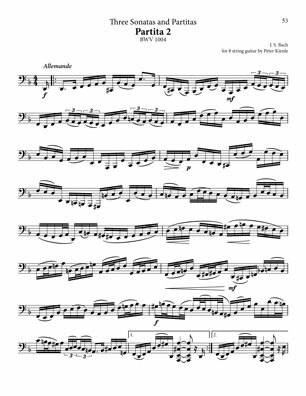 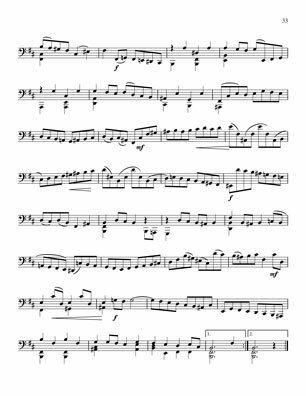 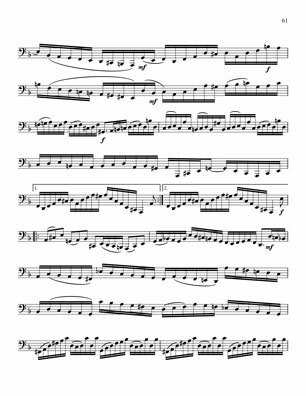 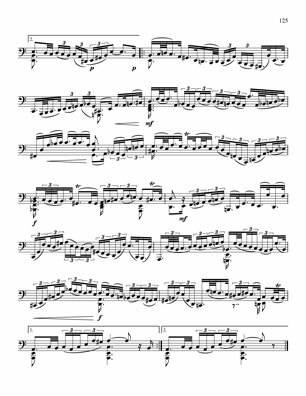 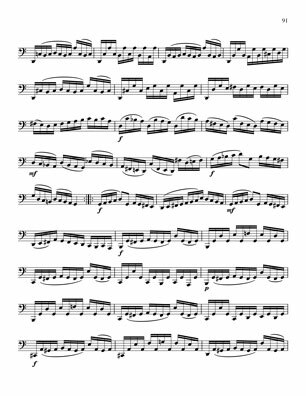 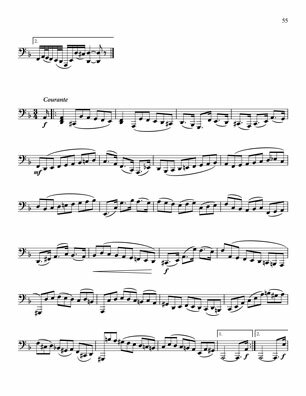 This version of Bach?s Sonatas and Partitas is originally for the violin. 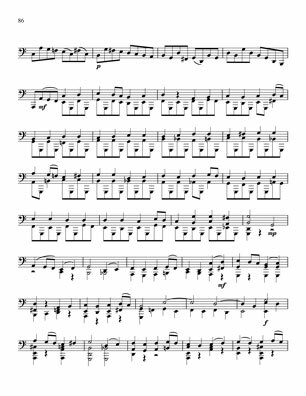 It turned out that transposing it down an octave and writing it in bass clef would lead to a good low range workout on the eight string. 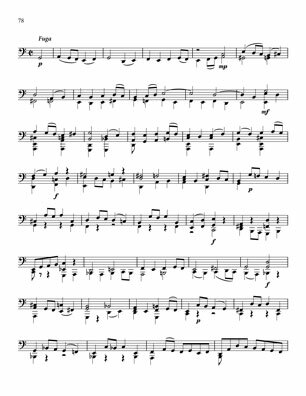 I admit that some of the lower chord voicings can be a challenge. 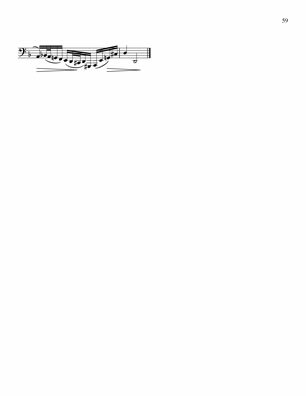 They are harder to finger because of the longer scale and therefore wider fret spacing. 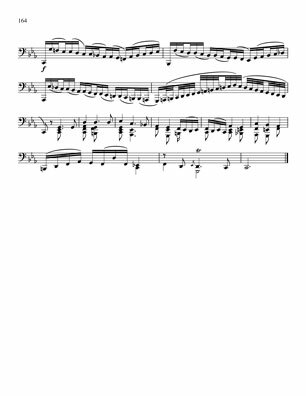 These are for a guitar with added ?B? 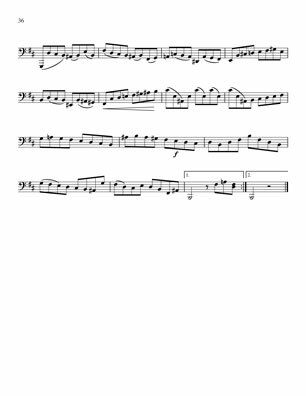 and ?F#? 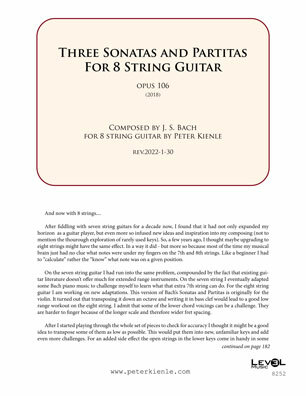 strings, although, if you tune your extra strings to A and E it could also work. 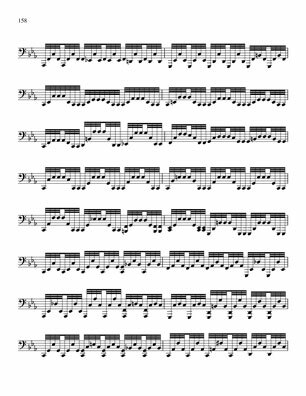 You can use a pick or your fingers or any hybrid approach you like. 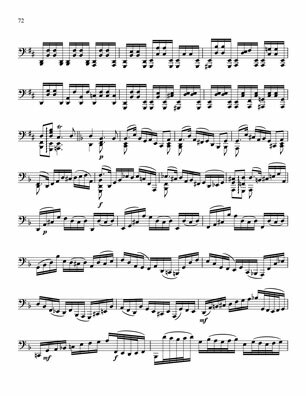 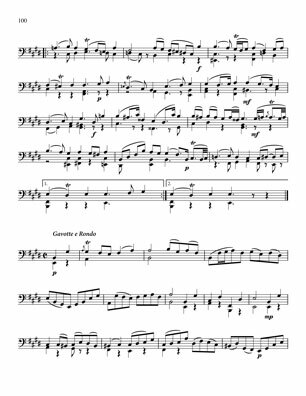 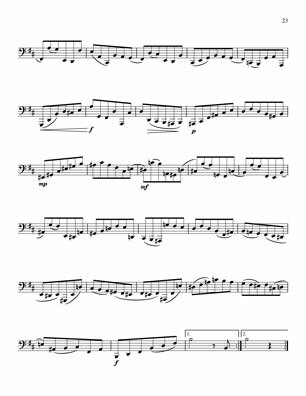 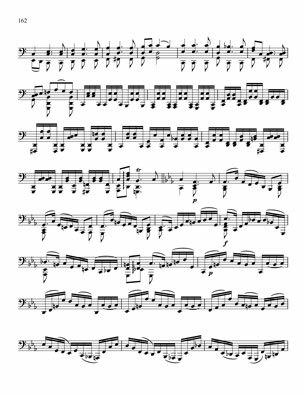 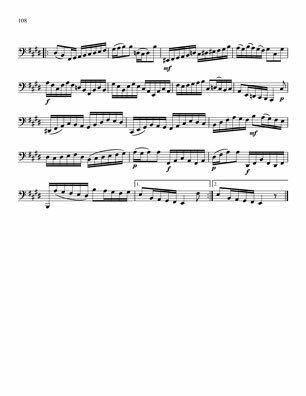 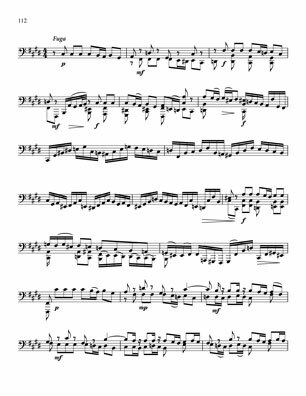 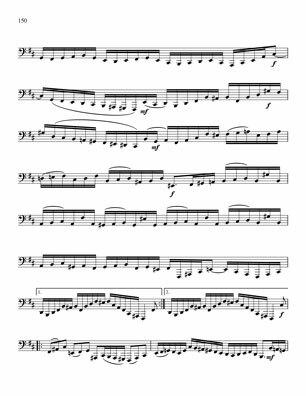 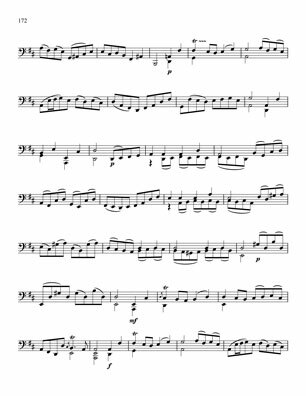 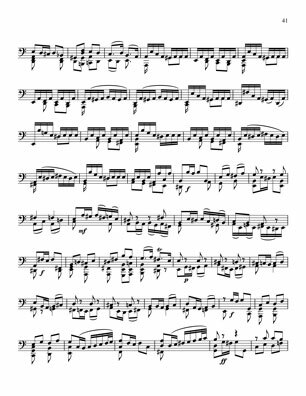 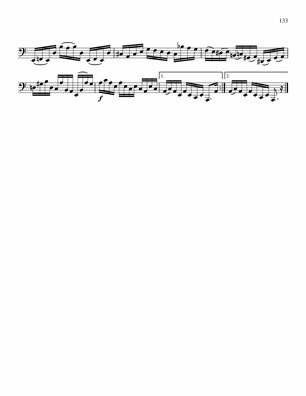 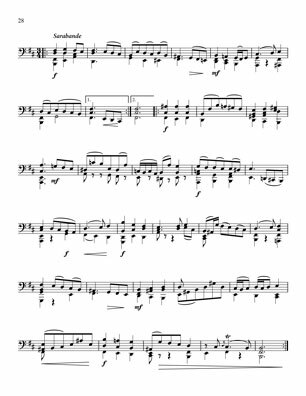 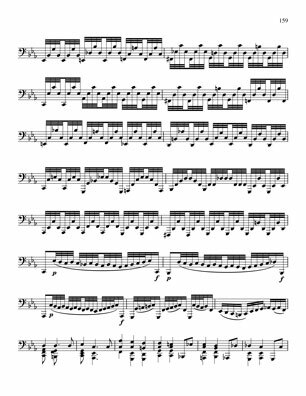 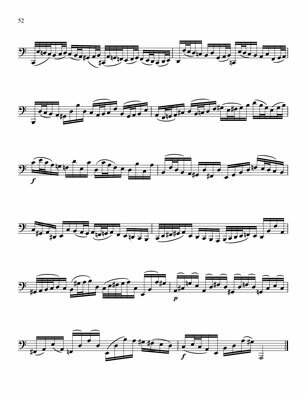 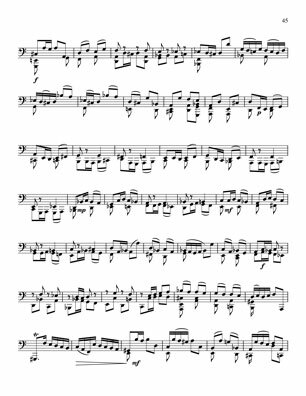 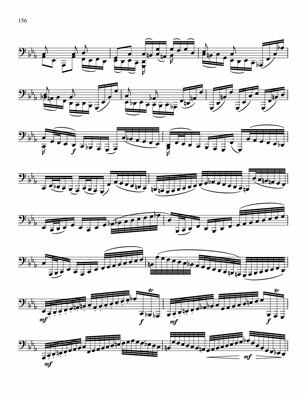 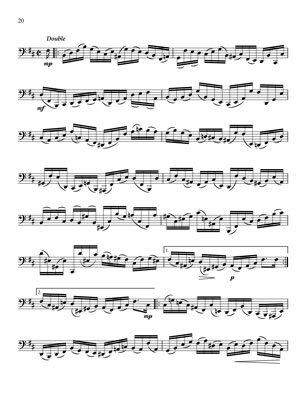 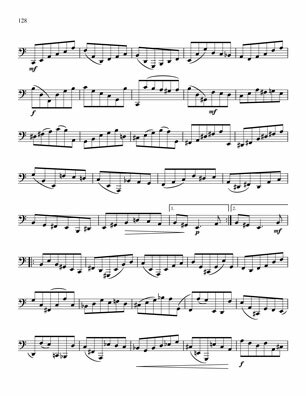 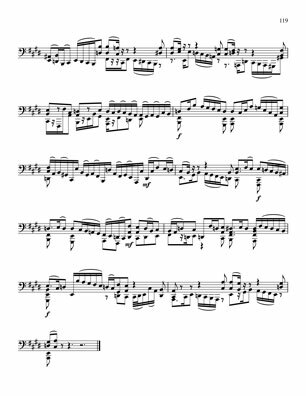 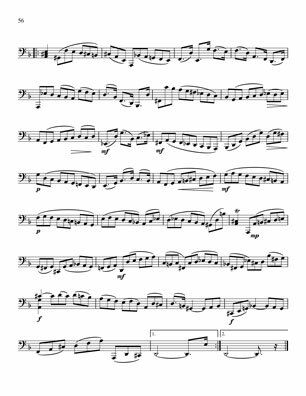 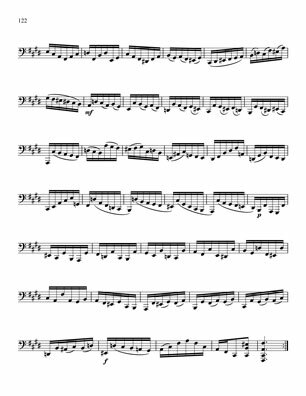 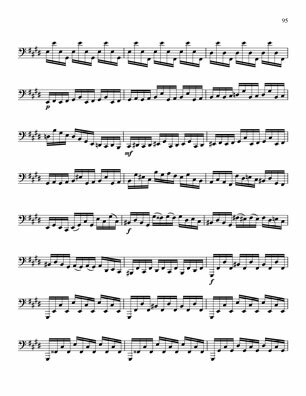 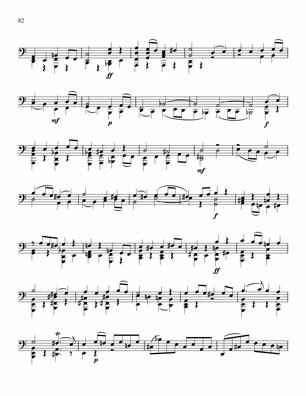 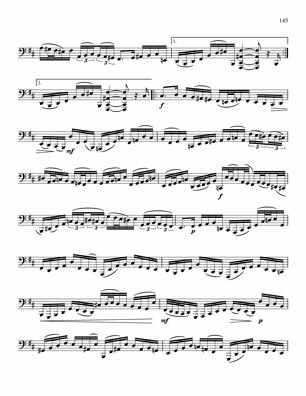 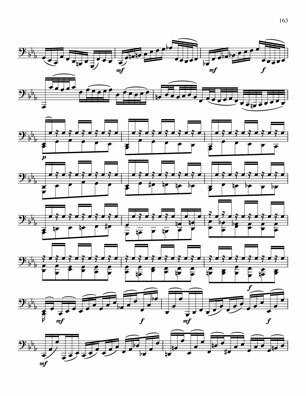 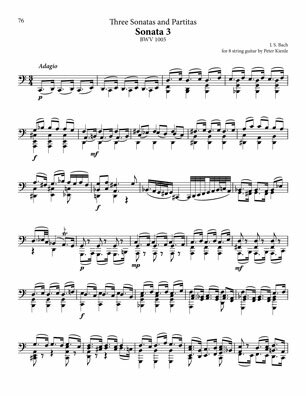 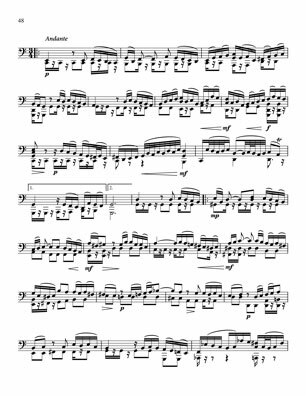 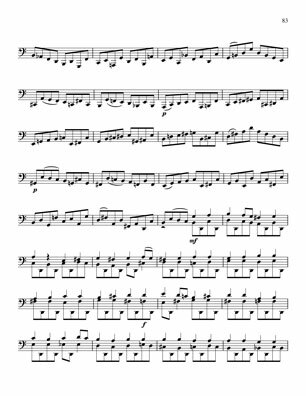 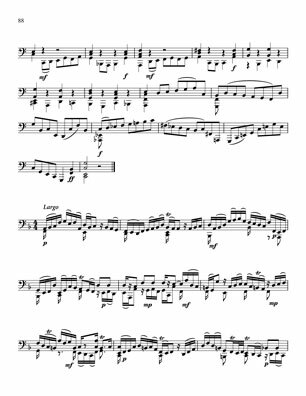 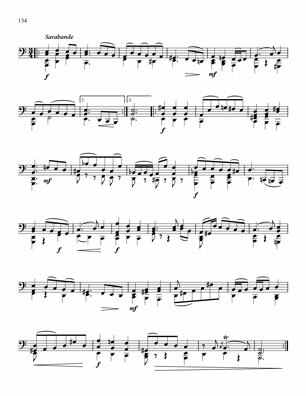 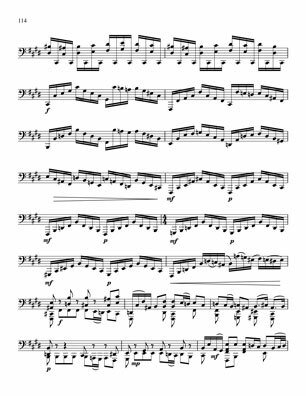 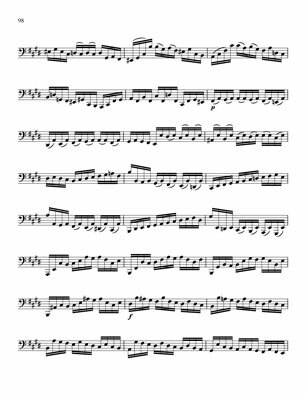 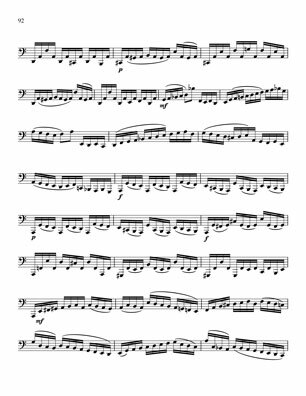 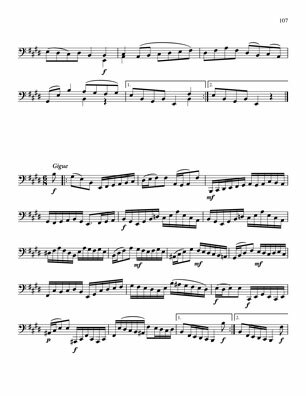 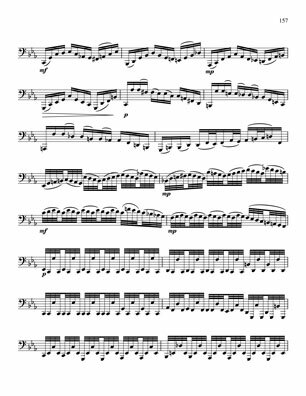 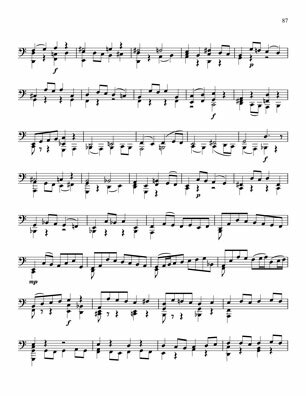 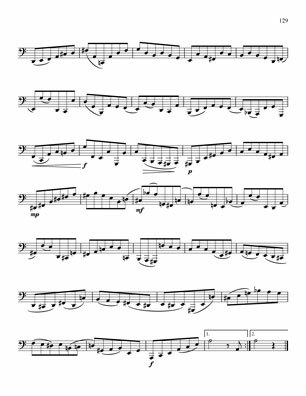 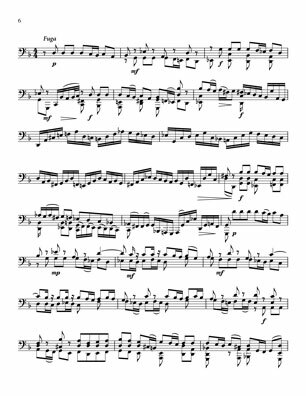 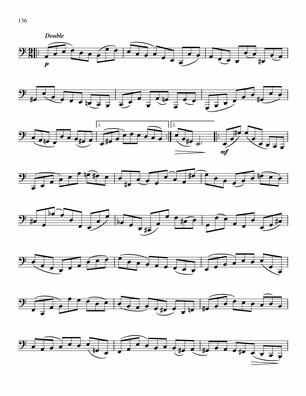 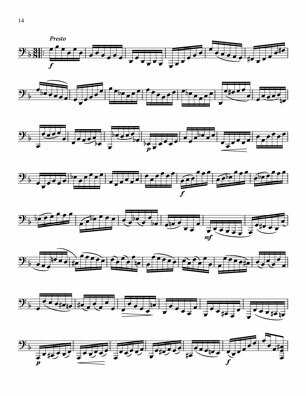 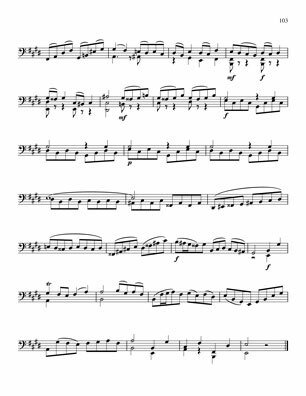 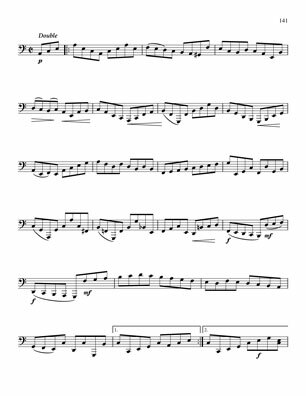 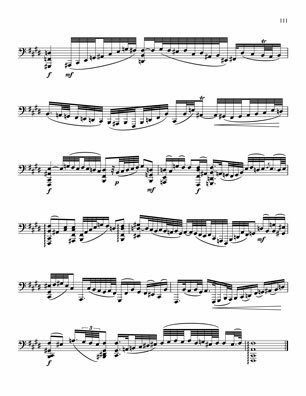 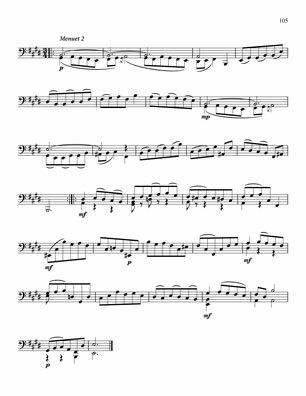 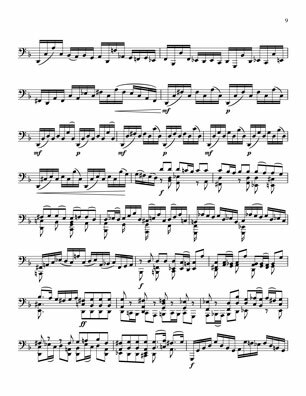 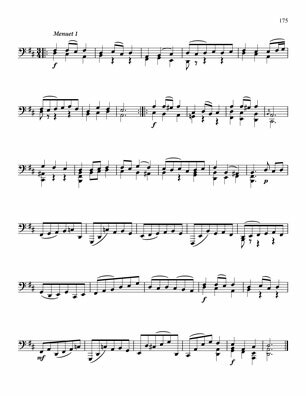 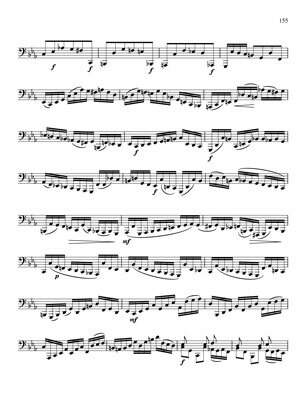 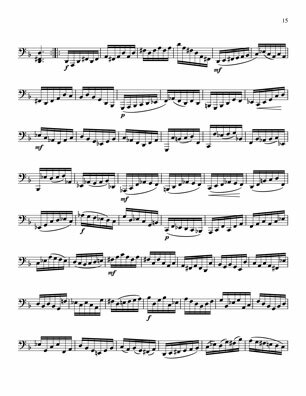 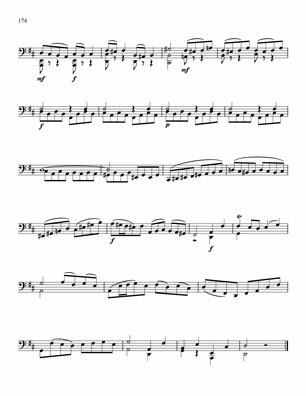 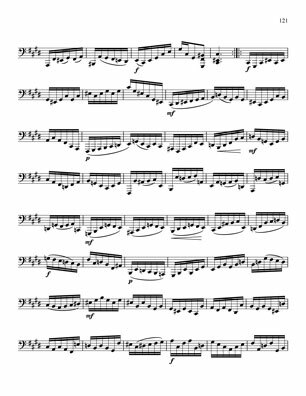 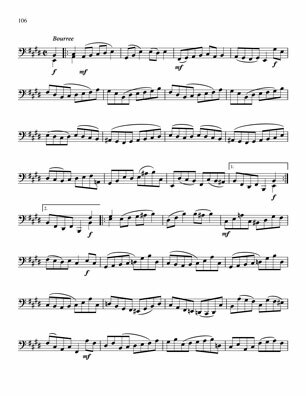 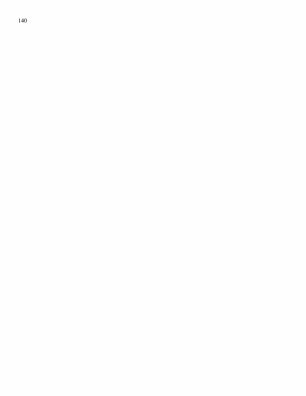 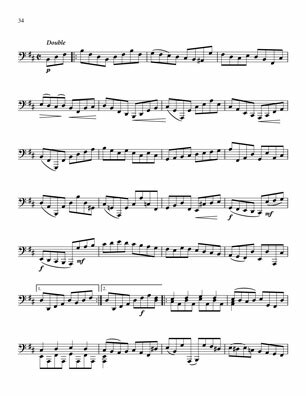 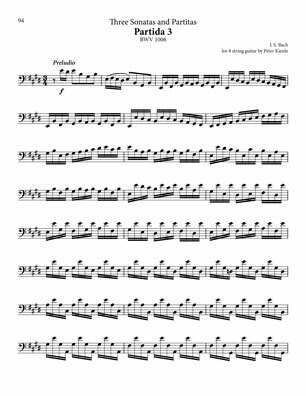 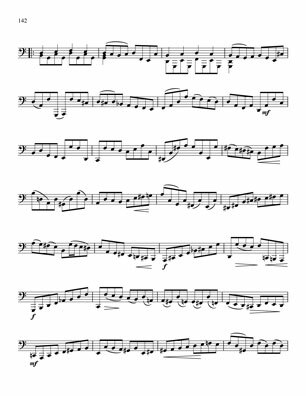 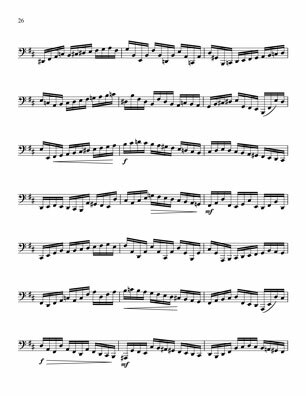 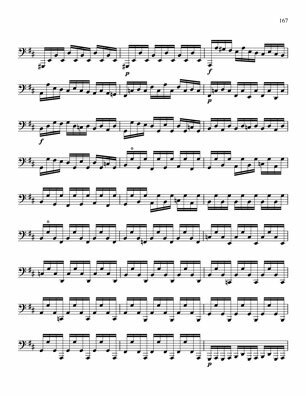 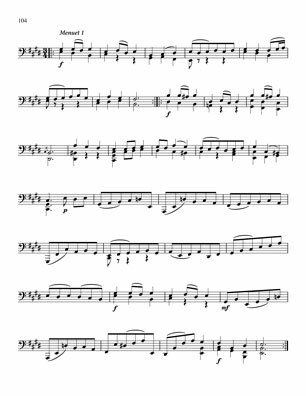 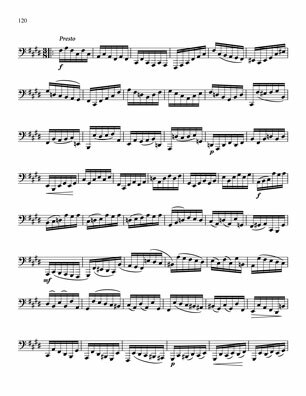 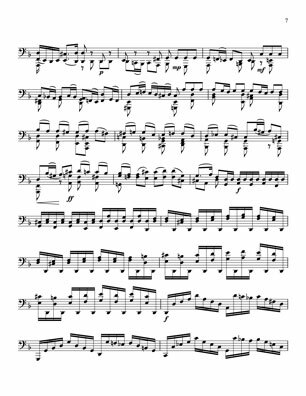 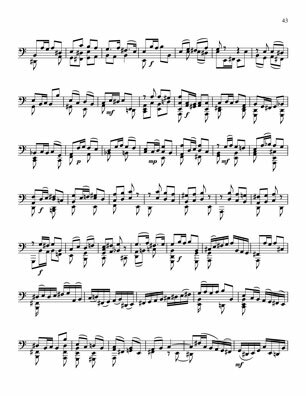 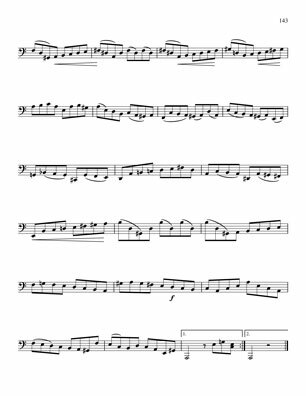 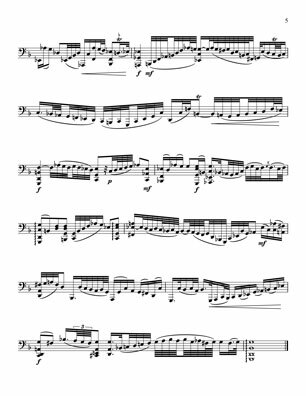 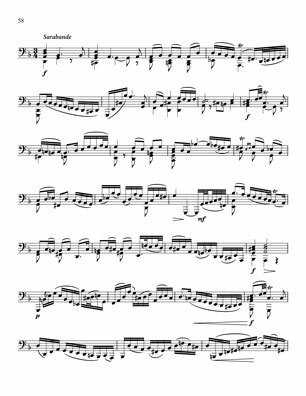 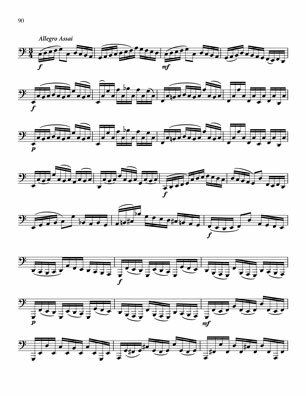 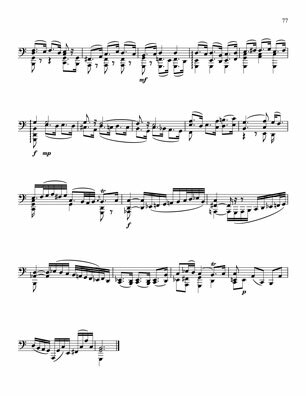 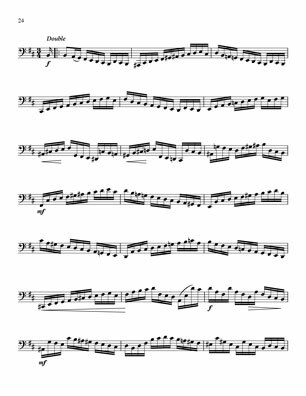 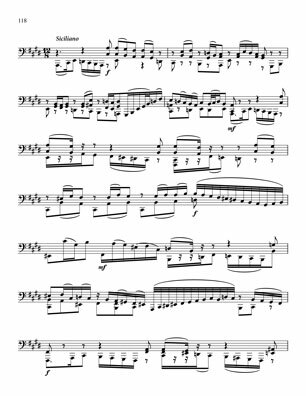 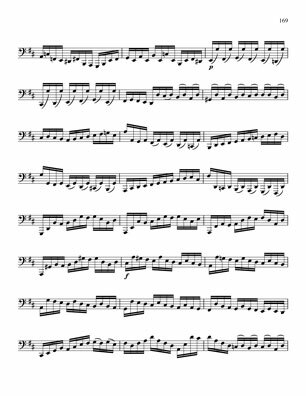 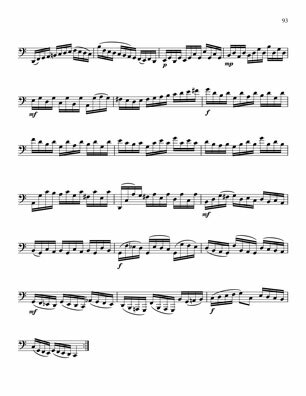 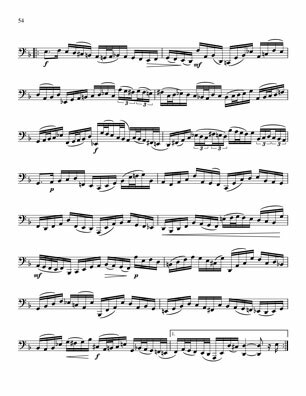 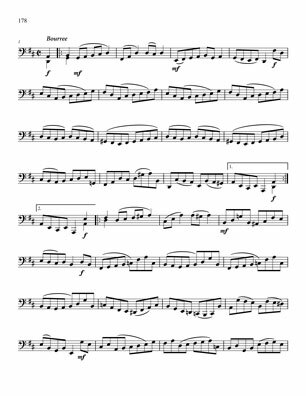 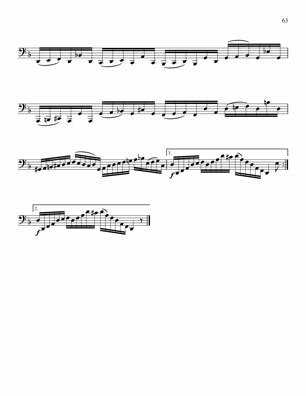 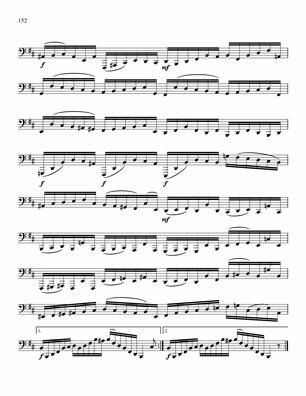 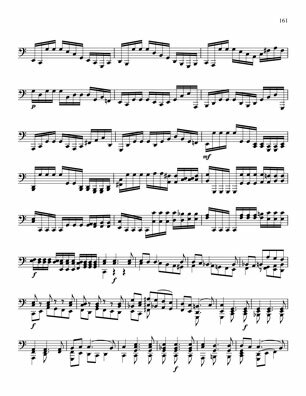 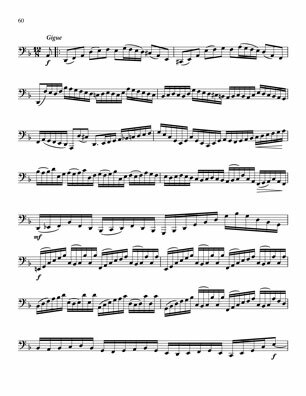 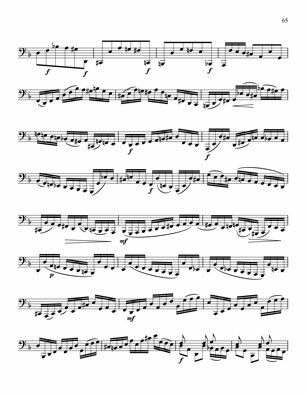 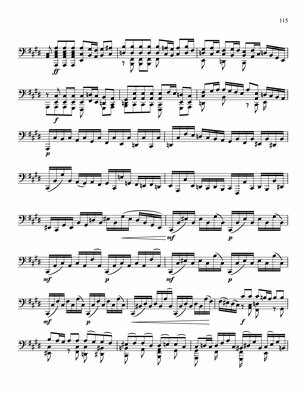 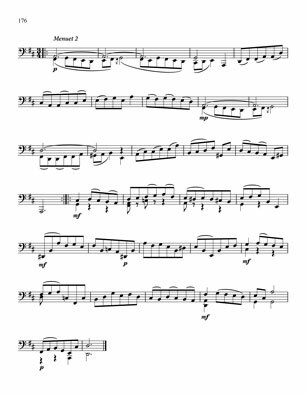 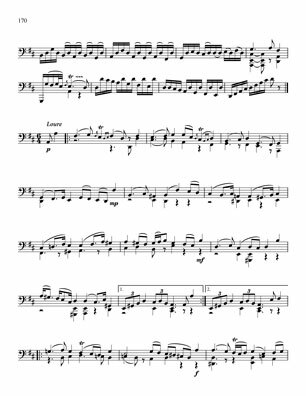 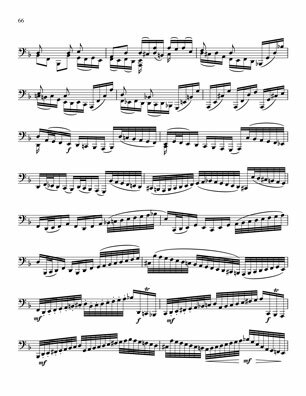 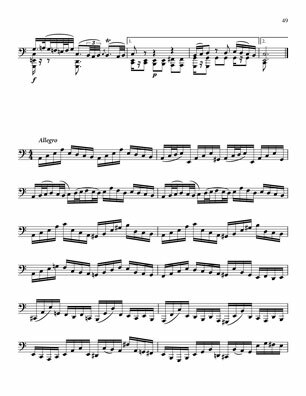 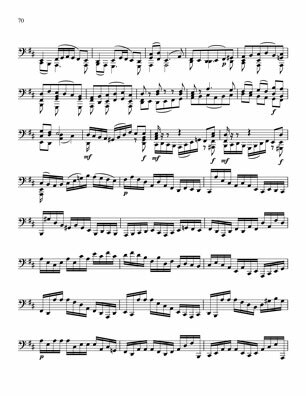 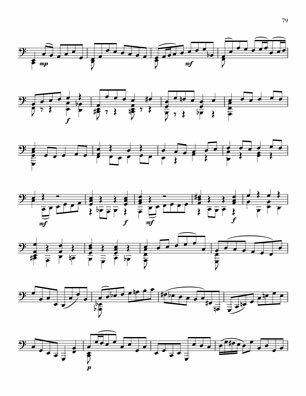 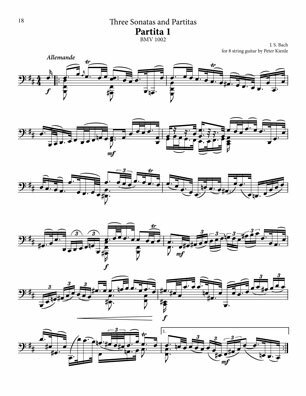 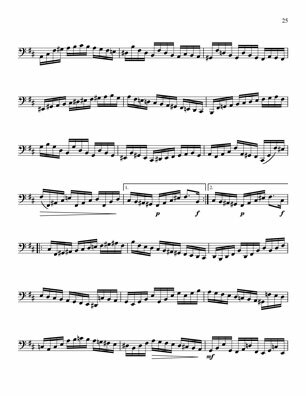 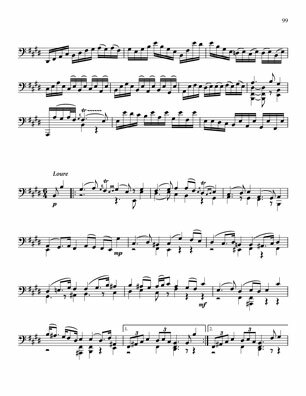 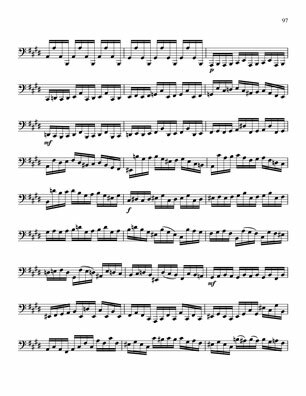 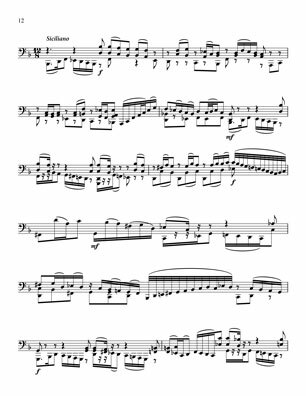 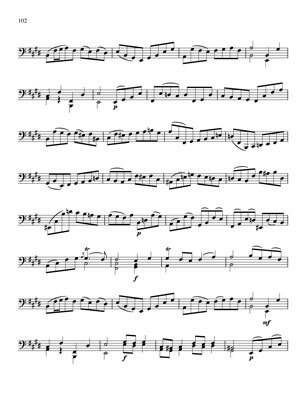 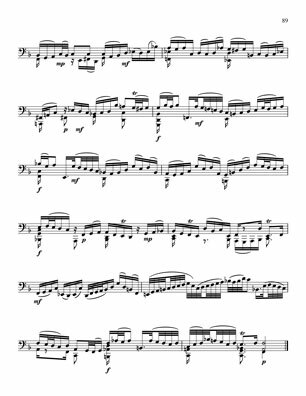 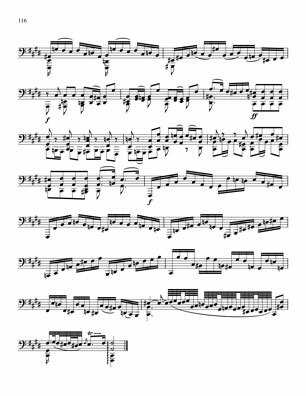 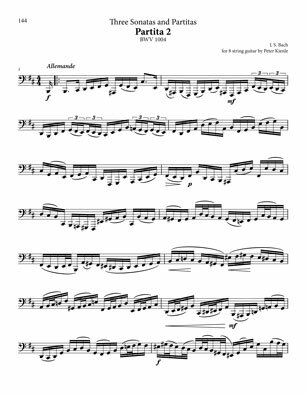 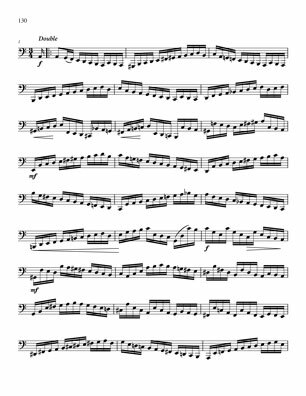 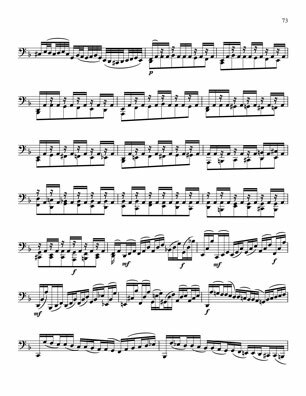 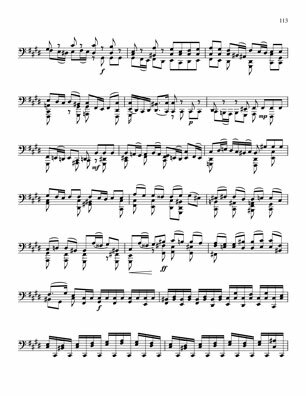 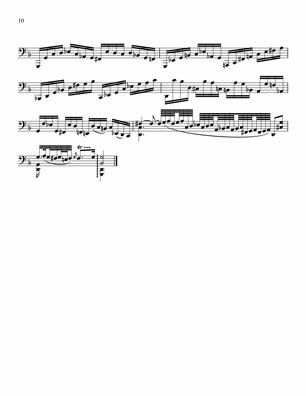 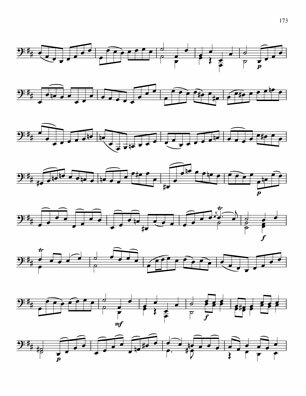 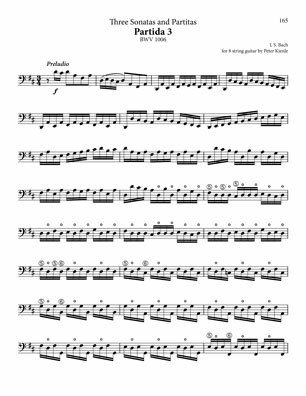 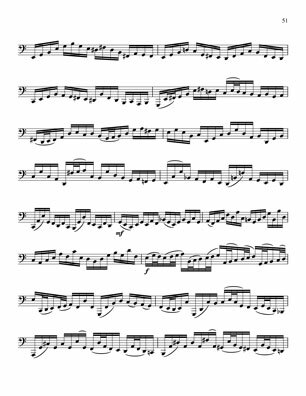 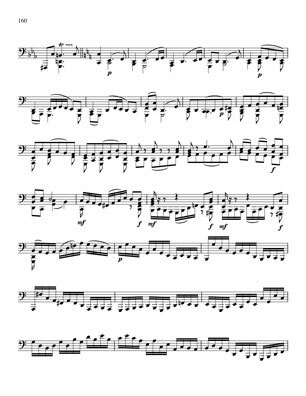 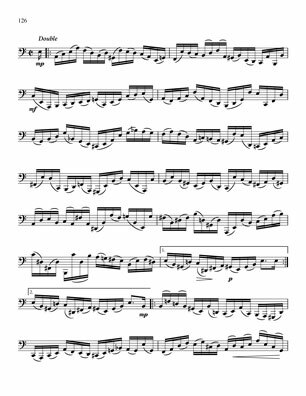 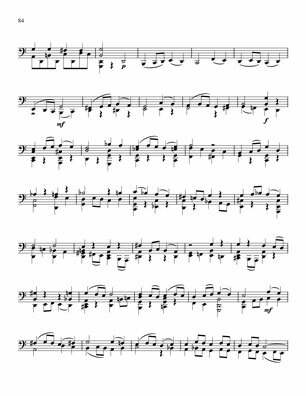 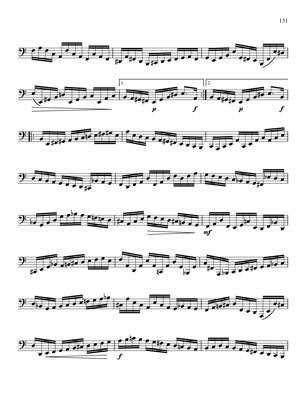 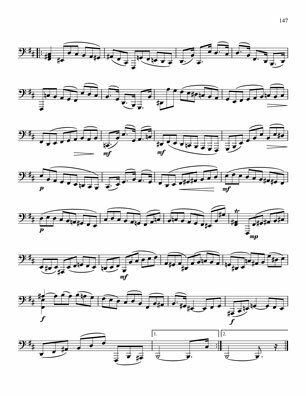 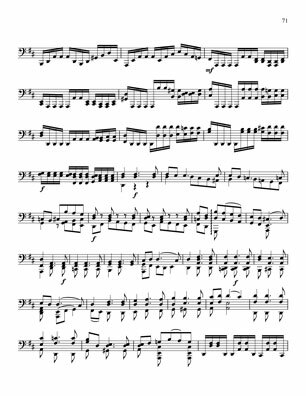 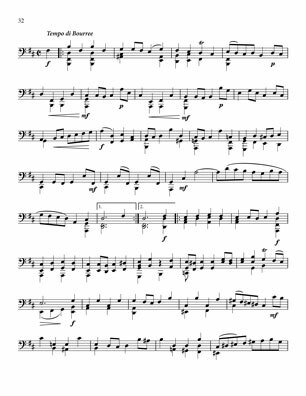 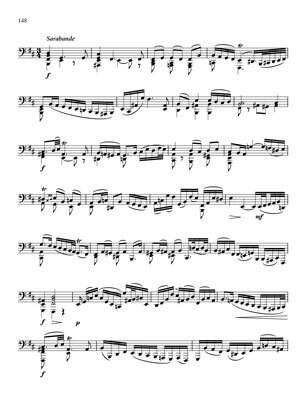 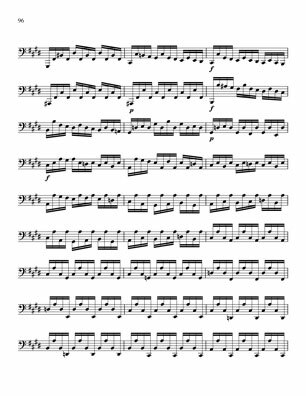 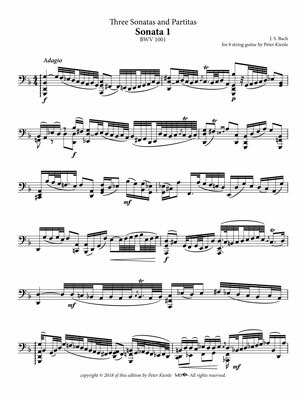 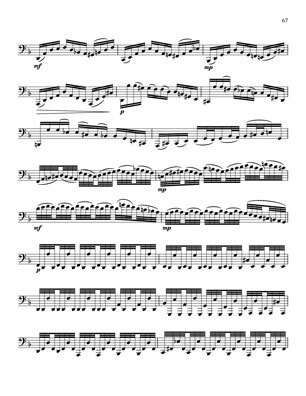 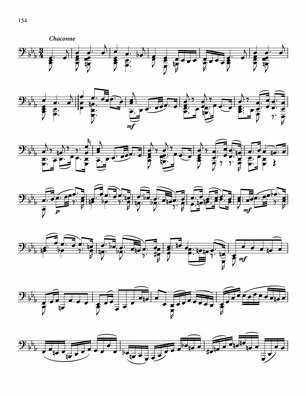 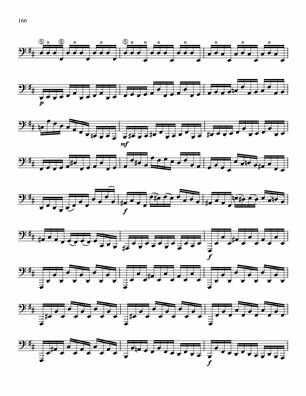 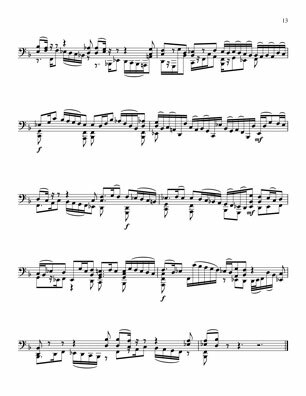 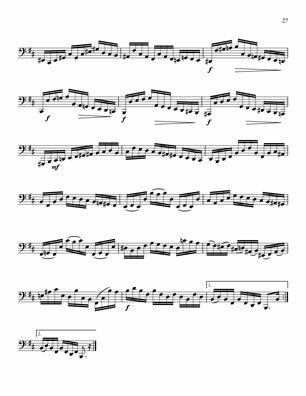 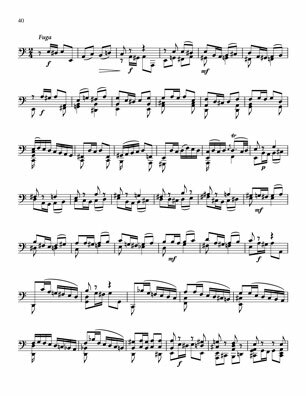 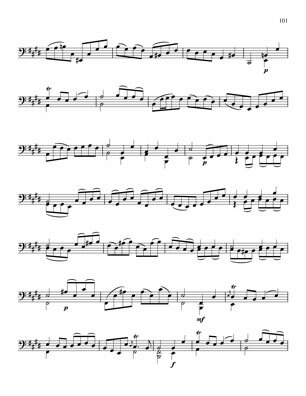 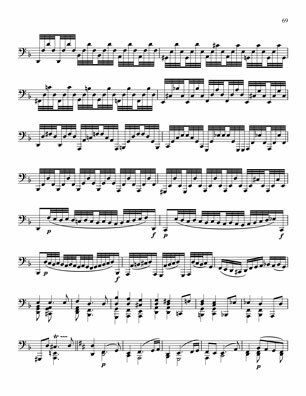 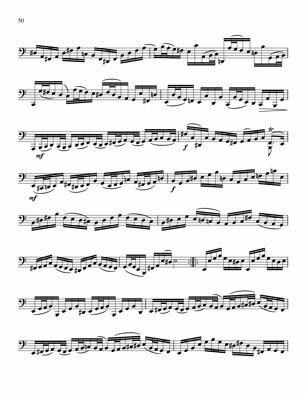 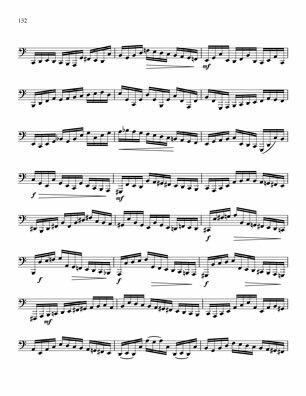 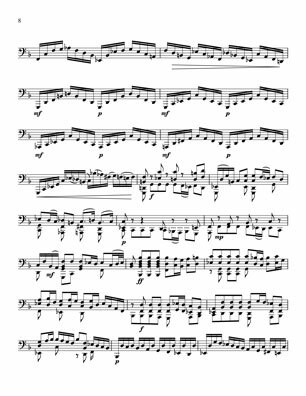 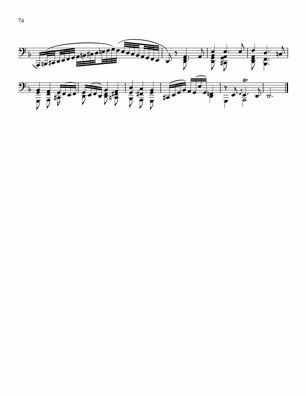 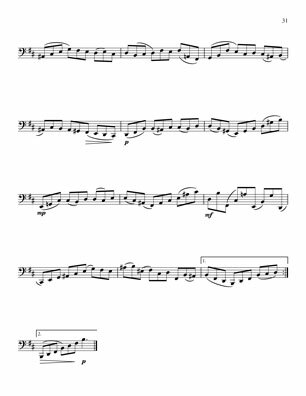 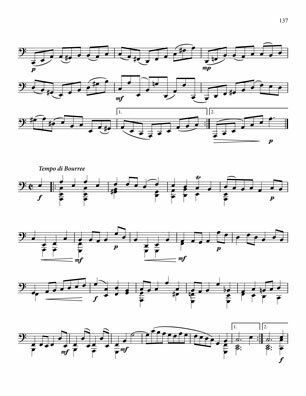 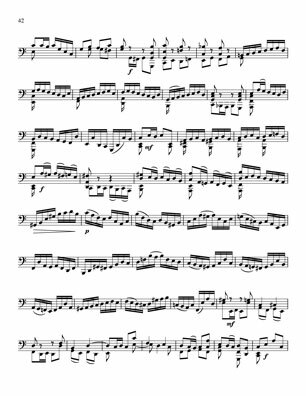 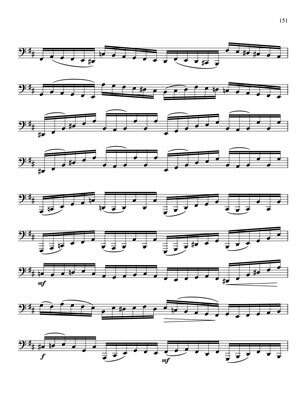 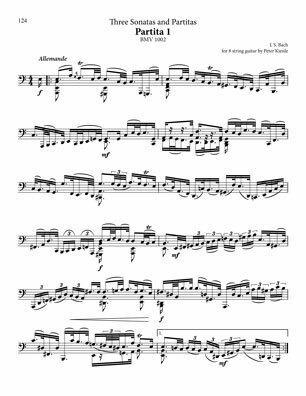 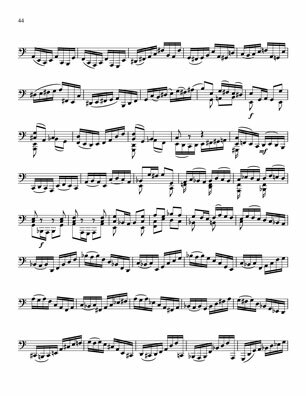 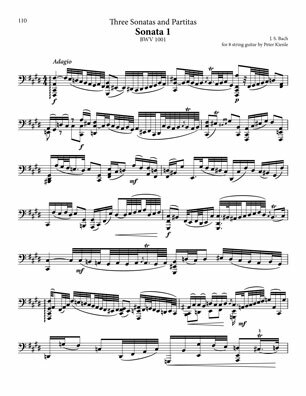 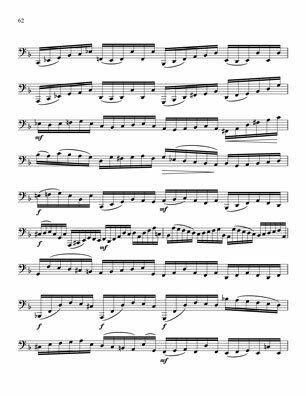 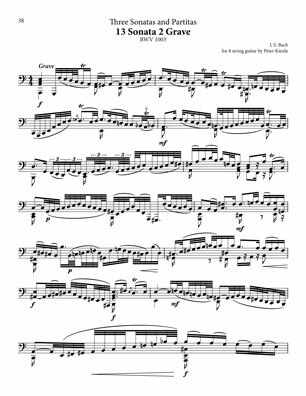 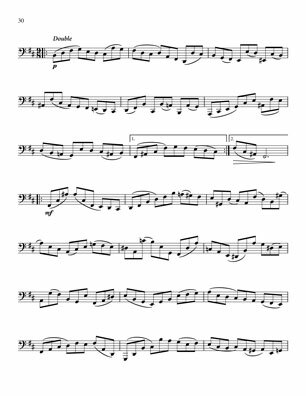 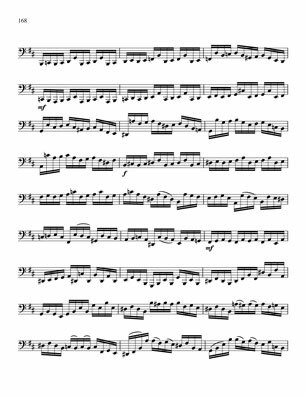 Unlike in the transcriptions from Bach?s piano music, I didn?t use any fingerings or TAB. 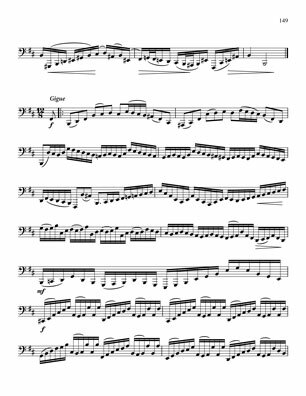 The main purpose for me on this project is to challenge my sight reading. 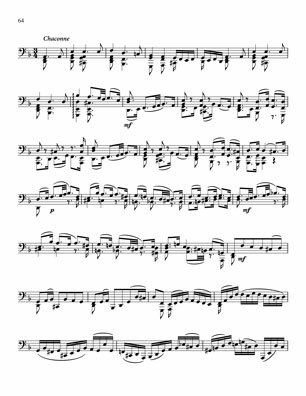 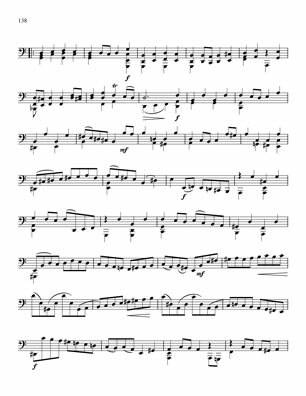 While my brain knows fairly well that the shell voicings (for example) replicate on the lowest strings, it still takes me an extra split second (and sometimes much longer) to intellectually grasp what note or chord I am playing.